A Tonk's Tail... err, Tale...: Decisions, Decisions. 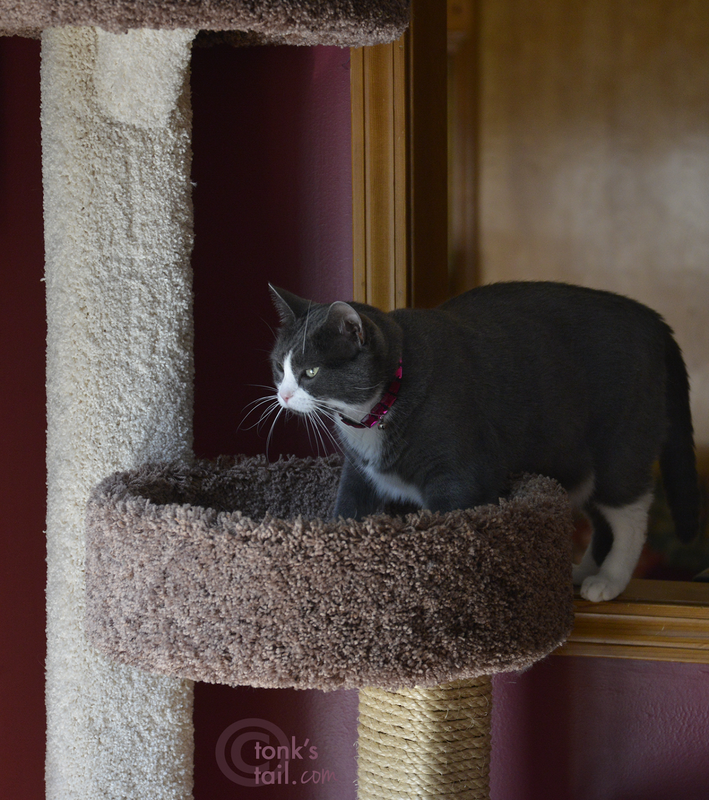 Allie: Should I take my easy here in the cat tree, or unseat Maxwell from his Lounger? LOL decisions, decisions. Have a serene and easy Sunday. Allie, mes would unseat Maxwell from the lounger, then (on my way back to the tree) whaps Faraday asn mes goes by! Judging from your facial expression, Allie, I'd say you are opting for the latter! P.S. I featured your cat toy video on my Sunday Catinee today! Allie, you can have any place you want...you can even have 2-3 at a time...those boy cats need to know who is the Princess, na'mean? Ummm I can see you are taking your time to figure this one out Allie. No reason you can't do BOTH!!! unseat Maxwell and then move to the tree! Result!! hehehe Oh Allie yous so bootyful it wuldn't matter. My guess is you will fight for the lounger. It's a hard choice Allie, I am glad I don't have to make it. Oh, let poor Maxwell stay in his lounger. You can bother him tomorrow. The tree, just stare at Maxwell long enough and he will get up MOL!